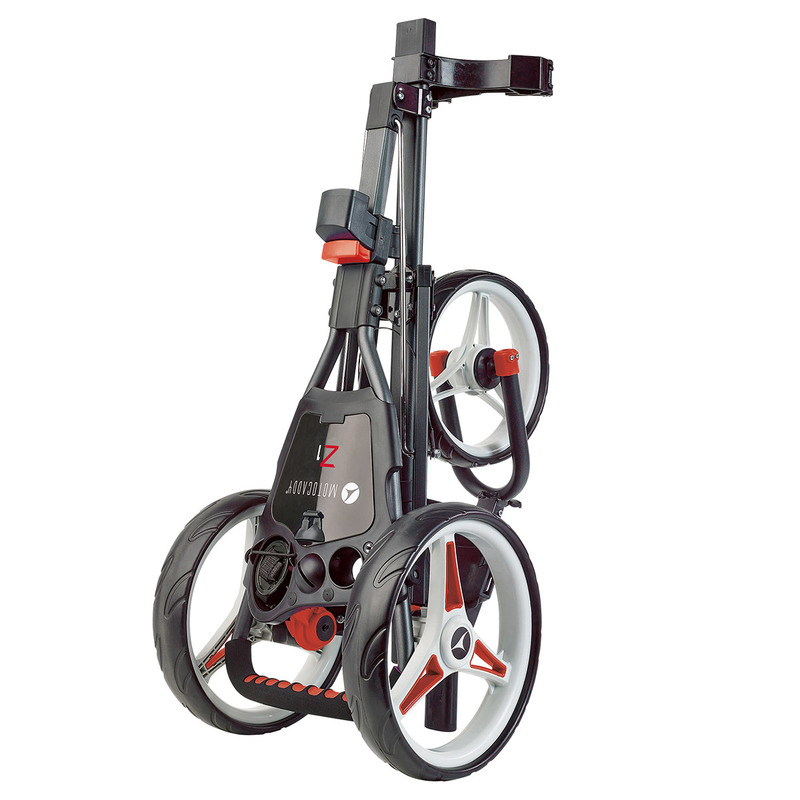 This premium brand push trolley has been designed with a lightweight aluminium frame, and fully packed with features to look after any golfer on the golf course. 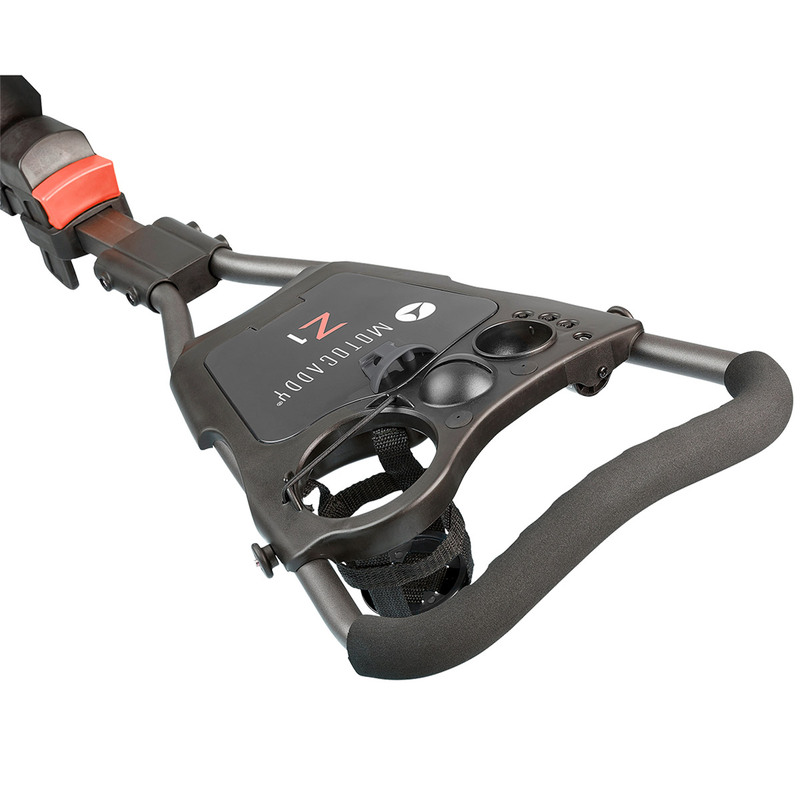 The trolley has a simple two-step folding system with quick-release sports wheels to save even more space during transportation. 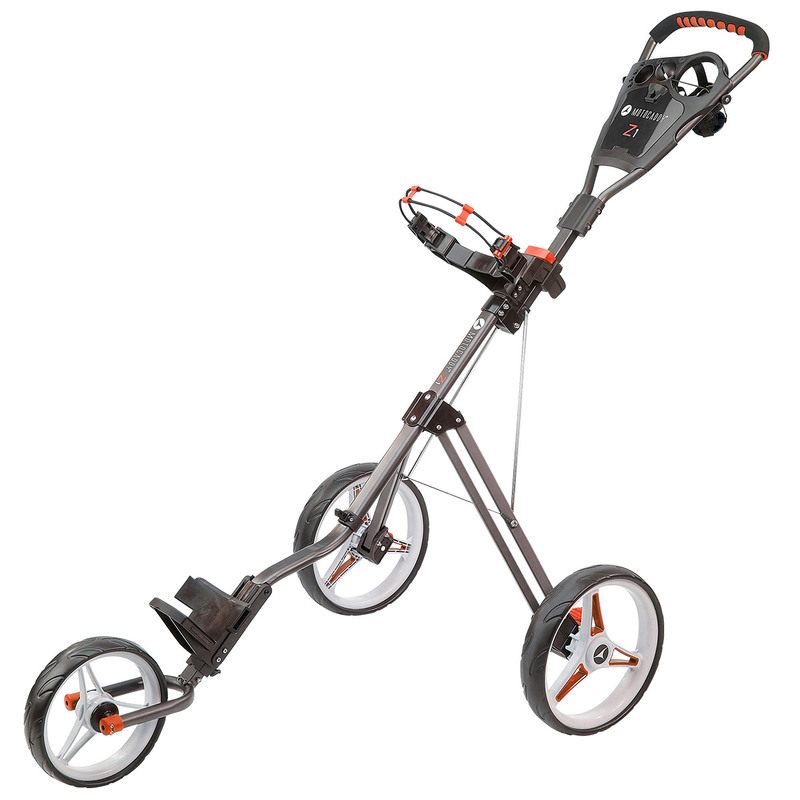 The trolley has adjustable bag supports and handle height, this is also EASILOCK™ compatible and comes with a foot parking brake to ensure your gear is safe and secure especially on steep slopes. Other features include an accessory compartment, drink, tee, ball and scorecard holders, and has an umbrella holder fitting.